Heschel pointed to a fundamental truth about economics. Underlying all economics are basic core principles and values. To the extent that ever-increasing consumption is our primary value, that strategy is doomed to failure. Our world economies and world resources cannot sustain endless growth and consumption without destroying life as we know it on this Earth. The world’s population, which was 6 billion in 1960, has grown to an astonishing 9 billion just 50 years later. The upward spiral continues. We lead the Western World in using up more resources than we can sustain, while the developing worlds of China and India and other parts of Asia are rapidly growing both in population and new consumption. 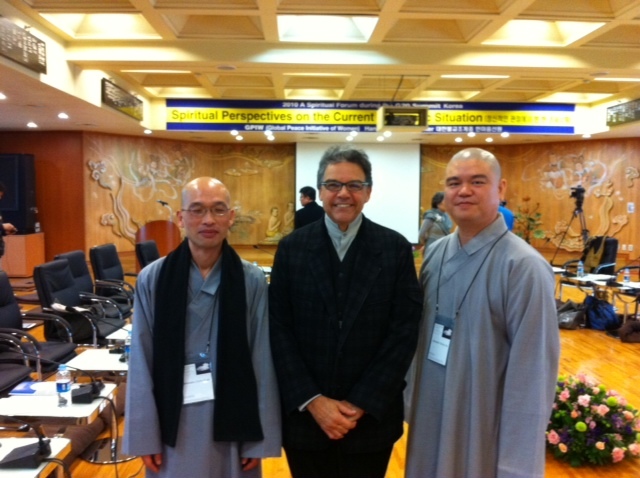 I recently spoke at a world conference of religious leaders in Seoul, South Korea. This was a different Seoul than the one I visited in 1997, when by all appearances; South Korea was a developing country. Today, Seoul has become a state-of-the-art bustling city of great of wealth. I counted three Apple stores on a main street. I went to Seoul to participate in a World Forum called the G20 World Religious Leaders Forum, sponsored by the Global Peace Initiative of Women. Our conference was concurrent with the G20 Economic Summit of leaders from the 20 leading developed nations. 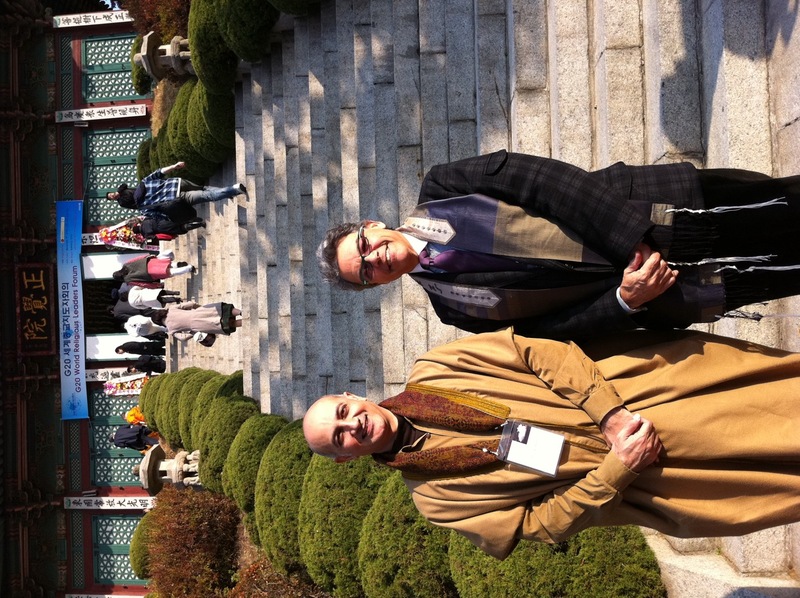 Twenty religious leaders, representing the world’s religions from around the world, gave talks at Buddhist Temples and forums for four days on issues of economics, sustainability and spirituality. Particularly, we spoke about the need for a sustainable world economy, rather than an approach to the economy based on growing consumerism. So it is with the world. Everyone needs enough so they won’t be hungry. Many want more, and for many, more is available. Beyond that, there is the desire for luxury, where we desire more and more of things we do not really need. We were hungry because we missed lunch, but many of our brothers and sisters in our world are hungry always. We need to remind ourselves that we are connected to the global family and rethink our own attitudes toward economics and consumption. We, too, need to think about sustainability in our own lives. What do we use up? What can we conserve? If we look around, we see staggering statistics. In 1980, 800 million people lived in poverty and daily hunger, today that number is well over one billion. Failed states from Haiti to the sub-Saharan Africa and South Asia account for much of this need. Many who suffer from hunger also live in areas of the world where water is scarce, food prices are rising and malnutrition and disease are rampant. A wise Jewish sage, Maimonides once wrote, “If a brother (or sister) does not have compassion upon a brother (sister), who will have compassion upon him? (her)” (Mishna Torah) We are a global family and our family is suffering. It is time for us to act with boldness and moral courage to alleviate this suffering. It is past time for the developing and developed world to think seriously about economic sustainability and, as a primary priority, to deal with this growing hunger and world poverty. 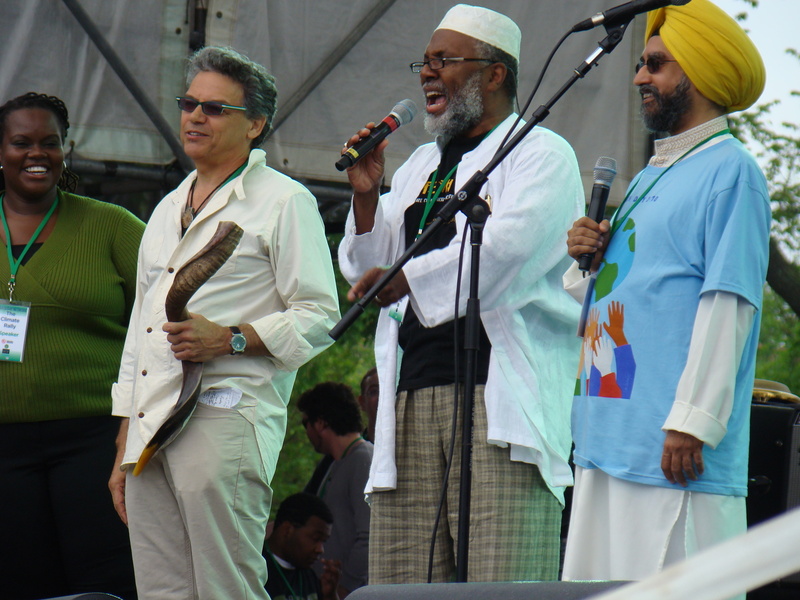 This entry was posted in Belief, Buddhist, Christian, climate change, COP 16, Earth Day Network, environment, Faith, faith and climate change, Gratitude, Hindu, Inner Life, James Hansen, Jewish, Kiribati, Meditation, Moslem, Poetry, Politics, Prayer, Sikh, Spirituality, Uncategorized, United Nations, water, World Leaders and tagged Alternative Energy, Art and Climate Change, Asia, Belief, Brother, Buddhist, Cancun, Central Conference of American Rabbis, Christian, Climate change, climate scientist, Climate talks, cookies, COP16, desires, Diplomacy, Earth Day Network, Environment, environmental refugees, environmentalist, Ethics, Evangelicals, failed states, faith, Faith and Climate Change, Faith Leaders, G20, Ghandi, Global Peace Initiative of Women, Government, Growth, Heschel, Hindu, hunger, Jewish, Judaism, Kiribati, luxury, Maimonides, Moslem, National Religious Coalition on Creation Care, needs, poverty, Rabbis, Seoul, sister, sub-Saharan Africa, Sustainability, Sustainable Development, U.N., United Nations, Universities, Vatican, water, water issues, wealth, White House, world economy, World Leaders, world population. Bookmark the permalink.